Dustan Soul Adventures, Only the Truth Counts. 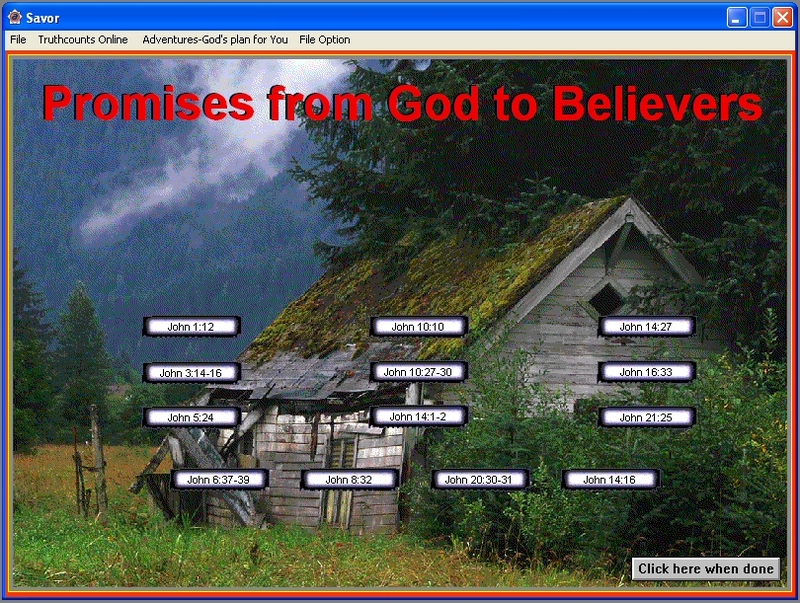 Is a Multimedia, Interactive, Adventure, that explains how mankind can be saved in an easy to understand format. This program uses Microsoft Accessibility options such as (text to speech), and a built in artificial intelligence, to compares what you believe today with what God tell us in the Bible. It will analyze your understanding of the bible, and direct you to a clear understanding of Gods Plan of Salvation for all mankind. It includes an online bible study database that is continually updated with new study material. You can also enjoy fun and educational Bible Games like; I want to be a Millenniumaire, Wheel of Truth, Wheel of Truth in Marriage, The Cross Word, Puzzles, Crucified for All, Search the Word, Puzzles. Everyone is born, lives and then dies. If you leave this world and never find out why you were here, you have wasted your life. If you have ever wondered why you were created and what your future holds? This is your Adventure.